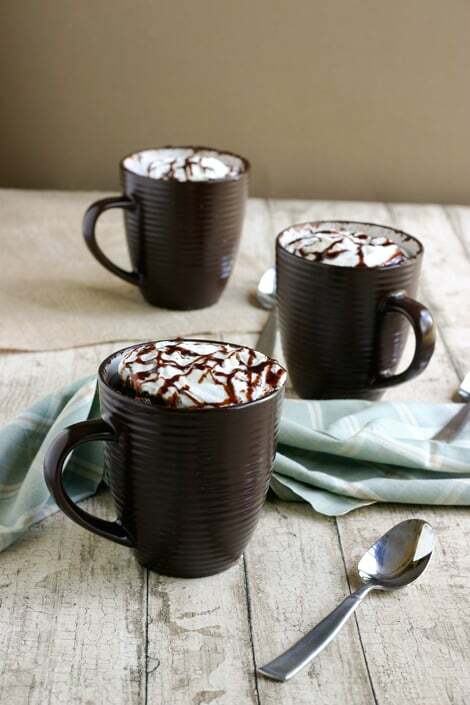 This is a quick and delicious spin on the mug cake. I had been experimenting with mug cakes for a while, and never got any good results, until this one. WOw, this looks incredible! I LOVE Nutella! Angie, this dessert is way too fun!! So creative. 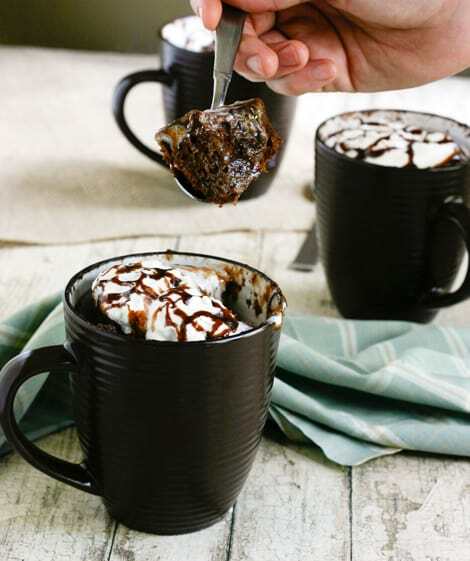 Nutella Mug Cake… Just the thing! http://ow.ly/5gt1A Doesn't heat up the house! Made in microwave! Can you tell me who made the mugs in the picture of the Nutella Mug Cake? I made these for my daughter who loves nutella, she loved them so much and they are so quick and easy to make. Wowza. I’m definitely going to be trying this one soon! I made this today but used applesauce instead of oil to make it a lot healthier. It was delicious and huge! One mug is enough for 2 people. Looks awesome! Question – can I cook them in the oven if I don’t want to use the microwave?